In what one sheriff in Florida is calling a "classic stand-your-ground case," a man arguing with his girlfriend over text messages was shot dead after he was captured on dash cam video threatening an Uber driver, who he thought was driving the woman home. "This is a justifiable homicide all day long. You have a right to protect yourself. ... This was the intent of the law," Polk County Sheriff Grady Judd said during a news conference Wednesday detailing Tuesday's fatal shooting of Jason Boek, 34, of Winter Haven, Florida. According to the Polk County Sheriff's Office, either late Monday night or early Tuesday morning, a woman named Jasmine Meazel had too much to drink at a bar in Dundee, and called an Uber car to take her home. When it arrived, another woman, named Jessica Mazzarella, helped Meazel out of the bar and put her into the car. The two woman did not know each other. Jason Boek in an undated photo. 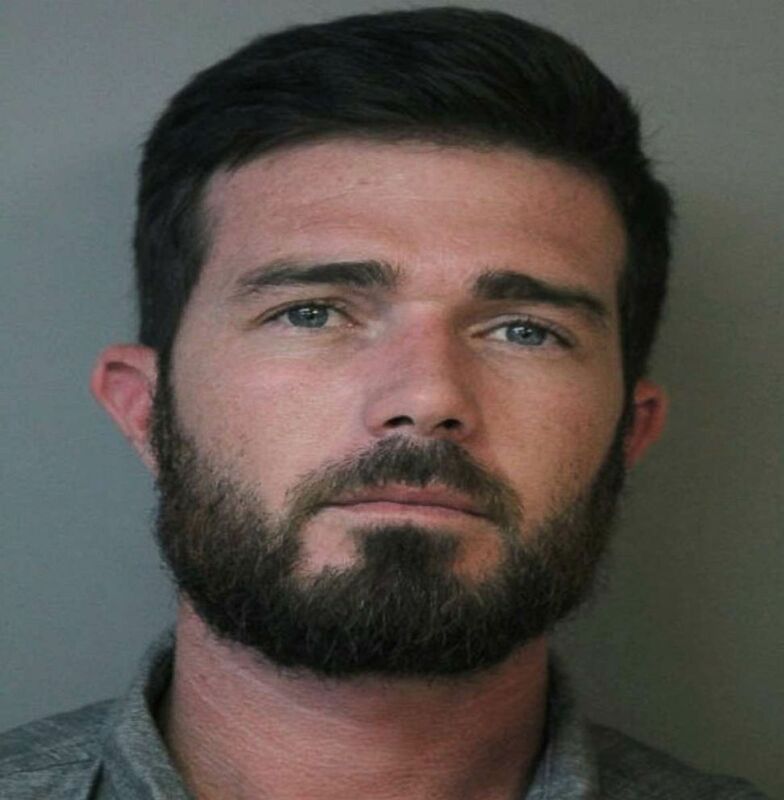 Police said that in the meantime, Mazzarella, who stayed at the bar, was having an ongoing text conversation with Boek, an "on-again, off-again boyfriend" whom Judd described Wednesday as "explosive." Judd said that the two had a "rocky" relationship and that Boek thought Mazzarella had gotten into the Uber car. In text messages released by authorities, it appears that Boek and Mazzarella were at the bar together, and then he left. Although Mazzarella thought he'd left, he tells her via texts that he's been outside the bar the whole time, saw her get into the Uber and was now going to do the Uber driver harm. "You know I'm watching every move right now," Boek said in text messages. "I've been watching you the whole time. ... I see y'all. ... I'm going to f--- both of y'all up." 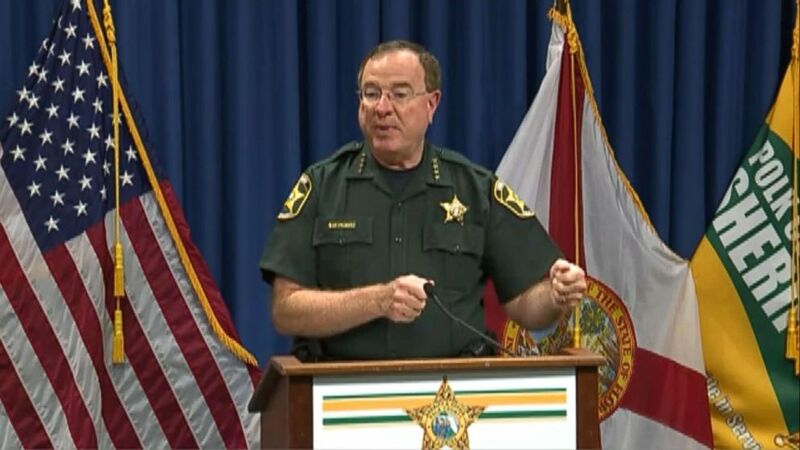 Polk County Sheriff Grady Judd speaks during a press conference, Aug. 29, 2018, in Winter Haven, Fla. In Westlake's Uber dash cam video, Boek can be seen exiting the truck with something dark in his right hand. The dash cam video shows Boek pointing the object toward Westlake's vehicle as Westlake asks: "I say somethin'?" Boek responded, "You know I got a pistol? You want me to f------ shoot you?" "Oh my God," both Westlake and the passenger can be heard saying on the dash cam video after the shooting. In a 911 call, Westlake told the dispatcher that he fired one shot from his pistol and was now applying pressure to Boek's wound. "He ran me off road. Jumped out of his vehicle. I couldn't get away. He came towards me shouting he's got a pistol, reached for his waistband. I fired one shot from my pistol. He dropped his cell phone. I kicked it away. I didn't realize it was a cell phone at first," Westlake told the 911 operator. Judd said Wednesday that Westlake also had just finished at the police academy. Westlake immediately called police and started to perform CPR on Boek but he eventually died. Meazel, the passenger in the backseat of the Uber who was still under the influence of alcohol had no idea what had happened, police said. In a statement to ABC News, Westlake said of Boek: "I feel for his family and their loss and I feel for their son more than anything." He said Wednesday that Uber had suspended his account until he could provide a letter showing that he was no longer a person of interest in the shooting. In a news release, police said that Boek was on felony probation for battery, which started in June 2016, and his driver's license had been suspended. Judd said that police had not found a pistol in Boek's vehicle. "At the end of the day, the message is clear: Don't mess with an Uber driver," Judd said. "I can tell you unequivocally the Uber driver, Robert, did the right thing to protect himself and ostensibly his passenger as well." "Here's a message for the hotheads of the community: don't do that stuff," Judd said. "Good people carry guns. And they will shoot you a lot. Graveyard dead. Leave people alone. It's a new day in the state of Florida and the United States." The investigation is ongoing, but police said Westlake was cooperating. The state attorney's office said it would be conducting a review of the Polk County Sheriff's Office investigation, since it's standard procedure to review sheriff's office probes. ABC News' Rachel Katz and Doug Lantz contributed to this reporting.